NEW ZEALAND, Wellington, September 20, 2014 – Leading games publisher PikPok® today announced the launch of the Maze Runner app for iPhone, iPad, iPod touch and Android devices, on Apple’s App Store and Google Play. The officially licensed game, created by veteran developer Sticky Studios, is based on the Twentieth Century Fox action-adventure film as well as James Dashner’s New York Times bestselling novel of the same name. The Maze Runner feature film follows a young man named Thomas, played by Dylan O’Brien (“Teen Wolf”), who wakes up trapped in a massive maze with no memory of the outside world other than strange dreams about a mysterious organization known as W.C.K.D. By piecing together fragments of his past through clues he discovers in the maze Thomas hopes to uncover his true purpose and a way to escape. Players of the official app join the expanded Maze Runner adventure to unravel the mystery of the maze, exploring its depths and overcoming perilous challenges in a fast paced, level based action title. “In addition to creating an immersive read and captivating viewing experience, James Dashner and Wes Ball created an experience that translates flawlessly to the mobile platform. We’re thrilled to provide a meaningful way to extend the overall fan experience,” commented Rick Phillips, SVP, Fox Digital Entertainment. More information about The Maze Runner app can be found at www.pikpok.com/games/themazerunner . 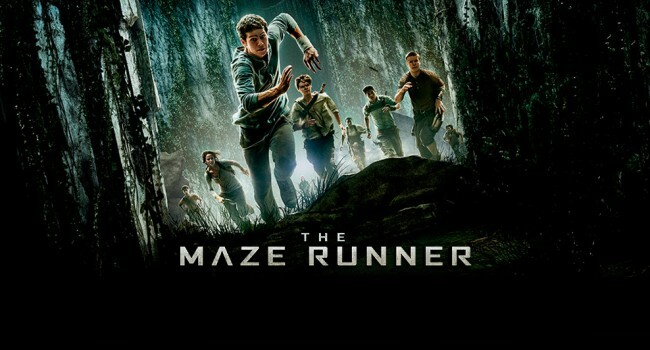 For more information about The Maze Runner, please visit Fox’s official website at www.themazerunnermovie.com. The Maze Runner app is free from the App Store on iPhone, iPad and iPod touch or at www.appstore.com, and from Google Play at http://play.google.com. Fox Digital Entertainment (FDE) is the Twentieth Century Fox division dedicated to fostering new and innovative mobile content and apps in emerging distribution channels. FDE develops and produces original videos, apps, and games based on new concepts and extensions of existing Fox brands. The group has produced a number of award-winning products, among them ANGRY BIRDS™ RIO, ICE AGE VILLAGE™, THE SIMPSONS™ TAPPED OUT, FAMILY GUY: THE QUEST FOR STUFF and many others.